Born and raised in Edmonton, Daryl Katz grew up a passionate Oilers fan. He has a deep connection with the team’s rich history and is focused on creating the foundation for a winning tradition and bringing the Stanley Cup back to the City of Champions. Away from the ice, Daryl has committed significant time, energy and capital to make his vision for a revitalized downtown Edmonton a reality. ICE District is an ambitious multi-billion dollar project that is transforming the heart of our downtown into a vibrant, walkable and sustainable sports and entertainment district, with a host of new commercial, residential and public amenities. With Rogers Place opening its doors this season, and the surrounding ICE District development well underway, we’re seeing an exciting rebirth of Edmonton’s urban core. Daryl graduated from the University of Alberta’s Faculty of Law in 1985. In 1990, he founded the Katz Group, now one of Canada’s largest privately owned enterprises, which earlier this year announced the pending sale of its pharmacy business, Rexall Health. Katz Group will continue to invest in the growth of its three other lines of business: real estate, sports & entertainment, and private and public investments. With a wide range of charitable activities, Mr. Katz is recognized as a leading philanthropist in Edmonton and beyond. In 2003, he was appointed to the Premier’s Council of Alberta’s Promise, an organization dedicated to improving the lives of Alberta’s children and youth. He is also a member of the Canadian Council of Chief Executives and was Co-Chair of the University of Alberta’s “Campaign 2008” – the largest fund raising campaign to that time in the university’s history. Daryl and his wife Renee are proud parents of Harrison and Chloe, co-founders of the Hockey Helps Kids charitable initiative. Daryl has great passion for his hometown and its beloved Oilers, and great determination to contribute to the greater success of both. 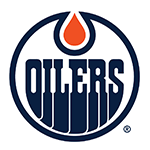 Riley is responsible for the growth and development of KG (US) Oilers Corp. and the Bakersfield Condors, the organization he has guided for all 21 years of the team’s existence. Riley was previously the vice chairman for the ECHL Board of Governors Executive Committee, and also served on various other league committees. He was instrumental in negotiations in the January 2014 purchase of the Condors by the Edmonton Oilers and the team’s elevation to the American Hockey League (AHL) in 2015-16 garnering their highest average attendance in over five seasons. 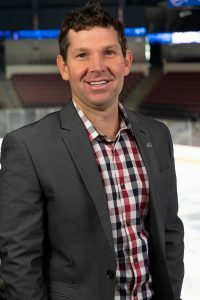 Now in their fourth AHL season, Riley was the driving force behind the organization’s grandiose plans for the Three-Way Chevrolet Condorstown Winterfest presented by Mission Bank held Dec. 21, 2016 – Jan. 7, 2017 outdoors at Bakersfield College’s Memorial Stadium. Another direct initiative during the AHL tenure was the adoption of the Junior Condors name for Bakersfield’s existing youth hockey program. The Condors bought and donated all jerseys in the program’s first year and will establish scholarship funding through the team’s Condors Community Foundation. Riley was the second 2-time winner of the ECHL Executive of the Year (2006-07, 2013-14) Award and was runner-up on several occasions. 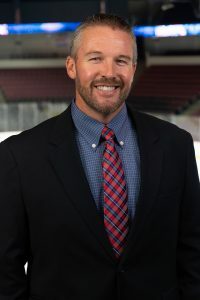 He captured the WCHL Executive of the Year during his second season in 1999-2000, and the Condors won ten WCHL awards in five seasons under his leadership. The Condors won 15 ECHL front office awards in their ten ECHL seasons, including the 2014 ECHL Award of Excellence in Marketing. The Condors have raised over $5 million for charitable organizations in Kern County during the last 18+ years. Riley joined the organization late in 1997, when they were named the Bakersfield Fog, to execute the transition from the Bakersfield Convention Center to Bakersfield Centennial Garden (now known as Rabobank Arena). 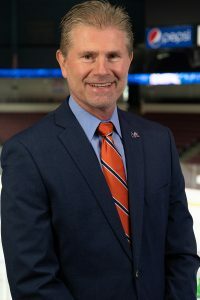 He took charge of the Condors in July of 1998, and in his first season at the helm, the Condors were named the West Coast Hockey League Organization of the Year. In 2001, his title was expanded to include President. 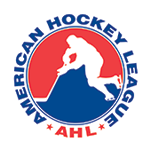 During the summer of 2002, Riley was named the Acting Commissioner of the West Coast Hockey League, and he played a large role in the transition to the ECHL as well as closing down WCHL operations. The Keokuk, Iowa, native previously served as the Executive Director of the Mobile (AL) BayBears Baseball Club, the class-AA Southern League affiliate of the San Diego Padres, and was integral in the construction of Hank Aaron Stadium, their home park. During their inaugural season in 1997, the BayBears led the Southern League in attendance. He also served as General Manager with the Mobile BaySharks Baseball Club, Assistant General Manager of the Chattanooga (TN) Lookouts (Southern League) and interned for the St. Louis Cardinals Baseball Club. Riley is a graduate of Nebraska Wesleyan University with a degree in communications. He earned a master’s degree in sport management from the United States Sports Academy in Daphne, Alabama. Riley is very active Bakersfield’s youth hockey and baseball programs. He and his wife, Teri, reside in Bakersfield with their son, Landon. 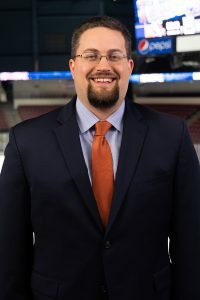 Justin, a Bakersfield native began his career with the Condors during the 2002-03 season as a press box assistant. During the 2009-10 season, he was promoted to Vice President of Operations, in which he was responsible for overseeing day to day operations of the front office. In 2017, he became the Vice President of Ticket Sales and manages the ticket staff. Justin graduated with a degree in Business Administration with a concentration in Sports Management from Cal State Bakersfield. He currently resides in Bakersfield with his wife Leina and two kids, Oliver and Atta Kay. Jose joined the Condors in September of 1999. In June 2009 he was promoted to Vice President of Ticket Sales, and in 2017 became Vice President, Members Services for the team’s service department. In addition to selling season ticket packages, Jose is also in charge of ticket services for our bilingual fans. 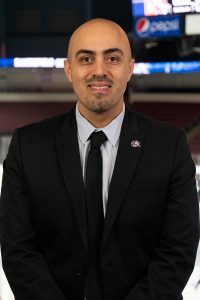 Before joining the Condors, Jose worked for Texaco North American Production Kern River Field, assisting with various production and drilling aspects. Since being appointed Director of Ticket Sales in July of 2004, the Condors were named ECHL Ticket Department of the Year in 2004-2005, and had Co-Ticket Executives of the Year in 2006-07. Rivera was also voted by his peers to be the recipient of the ECHL Ticket Executive of the Year for the 2013-14 season. The Bakersfield native graduated from Arvin High School and attended Bakersfield College. Jose is active in the Kern County Hispanic Chamber of Commerce. Jose resides in Bakersfield with his wife, Rachel and his son, Joseph. Jose and Rachel are expecting their 1st child together in July 2018. Hobbies: Soccer referee, playing basketball, golf, softball, disc golf, etc…I’m game for anything, I enjoy staying active. 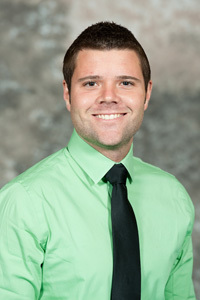 Holt joined the Condors in 2011 as a Manager of Media Relations and Broadcasting and was promoted to Director in 2013. 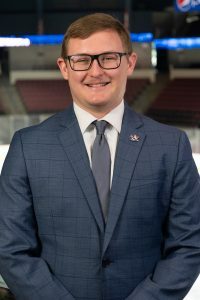 He is the play-by-play voice for all Condors games, handles all matters of the media relations department, and video content for Condors.TV. He received the 2012-13 ECHL Award of Excellence in Media Relations. The North Weymouth, Mass. 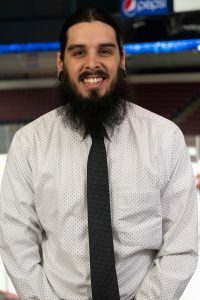 native previously worked in the North American Hockey League (NAHL) with the Corpus Christi IceRays and while in college, was a public relations assistant in the American Hockey League (AHL) with the Worcester Sharks. Holt received his Bachelor’s of Liberal Arts Degree with a major in Political Science from Holy Cross in 2010. While in Worcester, MA, he was the president of the student radio station and broadcast hockey, football, and basketball for the Crusaders. 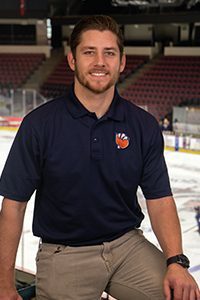 Greg joined the Bakersfield Condors in May 2005 from Iowa State University, where he received his Bachelor of Science Degree in Marketing. 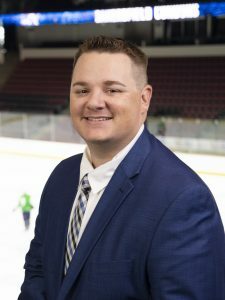 The ECHL tabbed him Co-Ticket Executive of the Year in 2006-07, and he was also feted as the Condors Salesperson of the Year for 2005-06 and 2006-07. In June 2009, Greg was promoted to Director of Corporate Partnerships, handling corporate accounts, ticket packages and group ticket sales. Dominic joined the Condors in 2015 and handles all matters related to Condors creative department including print and promotional material. 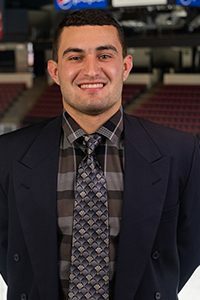 A native of the Central Valley, Dom attended Fresno State where he received his Bachelor’s Degree in Philosophy and Fresno Pacific where he received his Master’s in Sports Administration. He previously worked in minor league baseball for the Bakersfield Blaze, Fresno Grizzlies, and most recently the Reno Aces, AAA Affiliate of the Arizona Diamondbacks. Dom, his wife Samantha, and their English Bulldog reside in Bakersfield. Five people I would love to spend 1 hour with Socrates, Leonardo da Vinci, Neil Armstrong, Robin Williams, and Derek Jeter. 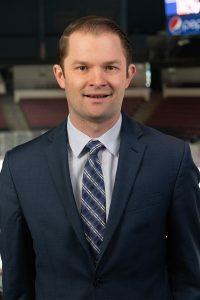 Parsons joined the Bakersfield Condors in July 2013 as an Account Manager, tasked with ticket sales and renewals and has since been promoted to Manager, Ticket Sales. Under his new role, he oversees all aspects of ticket sales and the team’s account managers. Born and raised in San Diego, Parsons is a huge San Diego Sports fan, showing unrelenting support for his Chargers and Padres. Prior to coming to the Condors, Parsons attended CSUB where he worked as a ticket sales intern before graduating with his degree in Business Management. 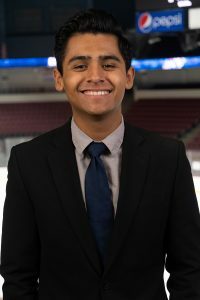 Karthik joined the Condors in September 2018 and is responsible for the sales and service of Condors365 Memberships, ticket packages, and group experiences. He was born in New York, but grew up in New Jerseys at the age of 9, he moved to Bakersfield. He attended Independence High School in Bakersfield and was part of the first graduating class in 2011. He holds a Bachelor’s Degree in Sport Management from UC Riverside. Sarah joined the Condors in November 2018. She is responsible for the sales and service of group ticket sales.  Specifically, Sarah will work with churches, civic organizations, and government entities. Born and raised in Bakersfield, Sarah attended Cal Poly, San Luis Obispo where she was a member of the Cal Poly Dance Team. After receiving her Bachelor’s Degree in Graphic Communication, she designed and managed marketing campaigns for multiple companies in Bozeman, Montana and more recently, Boise, Idaho. 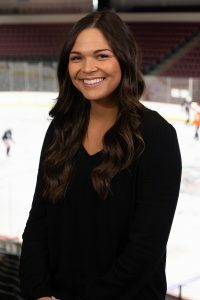 McKaiela joined the Condors in July 2018 and is responsible for the sales and service of Condors ticket sales. Specifically, she will work with local schools and youth organizations creating fun experiences on game nights. Originally from Yelm Washington, Tyler moved to Bakersfield following high school where she attended Bakersfield College. 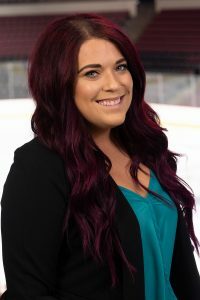 Upon completion of her Associate’s Degree with the Renegades, she transferred to Sonoma State University where she graduated with a Bachelor’s Degree in Business Administration and a Marketing concentration. She was a shooting guard in basketball at both BC and Sonoma State and in 2014-15 was named the Freshman Athlete of the Year. 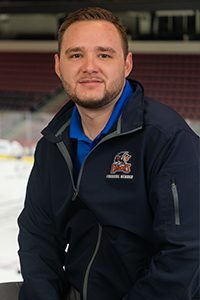 Russell joined the Condors in 2015 as an intern and in May 2017 was promoted to Account Manager where he is responsible for the sales and service of season ticket packages and group outings. 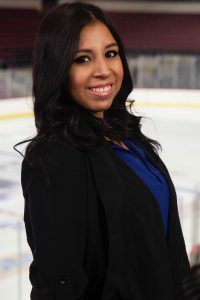 Valerie joined the Condors in September 2017 and manages the team’s merchandise and retail department. She started her career in the promotional products industry, designing and creating merchandise with CG Enterprises 2004 where she traveled the globe to attend tradeshows and service clients. Also, in 2016, she started her own pet sitting company (Paws N’ Company) and is currently the co-owner. She currently attends the University of Phoenix to obtain her Bachelor’s Degree in Business and Marketing. I absolutely love what I do, creating products and apparel is what I plan to do forever! 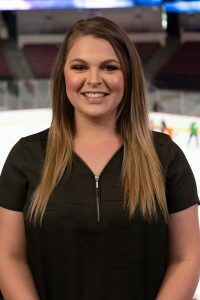 Brooke joined the Condors in September 2018 and is a member of the Condors service team for all Condors365 Members. She will also help coordinate and plan member events along with assisting members on game nights. Born and raised in Bakersfield, she is a 2012 graduate of Frontier High School where she played varsity soccer for four years. She currently attends National University towards a Bachelor’s Degree in Business Management and a concentration in mobile marketing and social media marketing. She joined the Condors from National University where she served as a financial adviser. Naomi joined the team in 2015 and handles general administrative duties in addition to assisting in the team’s finance department. Born and raised in Bakersfield, she currently attends CSU-Bakersfield with a major in Business Administration and a concentration in accounting. Her hobbies include spending time with family, eating good food, and being outdoors. Jacob joined the Condors in September 2018. As the Coordinator, Operations, Jacob is responsible for matters relating to promotional items, game day setup, coordination of in-arena events, and more. He was raised in Bakersfield and is a 2014 graduate of Frontier High School. Following high school, he pursued a degree in Aviation Administration from Spartan College in Tulsa, Oklahoma. He is a commercial pilot and has flown many different types of aircraft to many different locations. Nathan joined the Condors in November 2018 and handles all matters of tickets and the service of Condors365 Members. A native of the Bay Area, Nathan was a kicker at De La Salle High School and won a State Championship in football. He earned a Bachelor’s Degree in Business Administration from the University of the Redlands where he also played football. 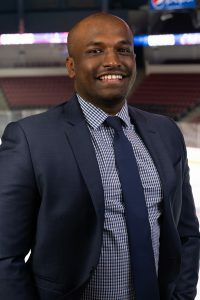 Edward joined the Condors in 2016 and handles graphic design and video elements for the team. On game nights, he assists in game production and operations. 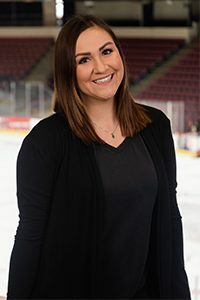 Skylar joined the Condors in September 2018 and assists in the operations department with game day duties including: setup, promotions, in-arena games, and more. Born and raised in Tehachapi, he graduated from Tehachapi High School in 2014. He received a Bachelor’s Degree from Tabor College in Kansas where he played four seasons of college football.